Maybe it’s because I’m still a kid at heart but I LOVE cotton candy! When I go to a rodeo or county fair, cotton candy is always my treat of choice. This also carries over into my ice cream preferences. 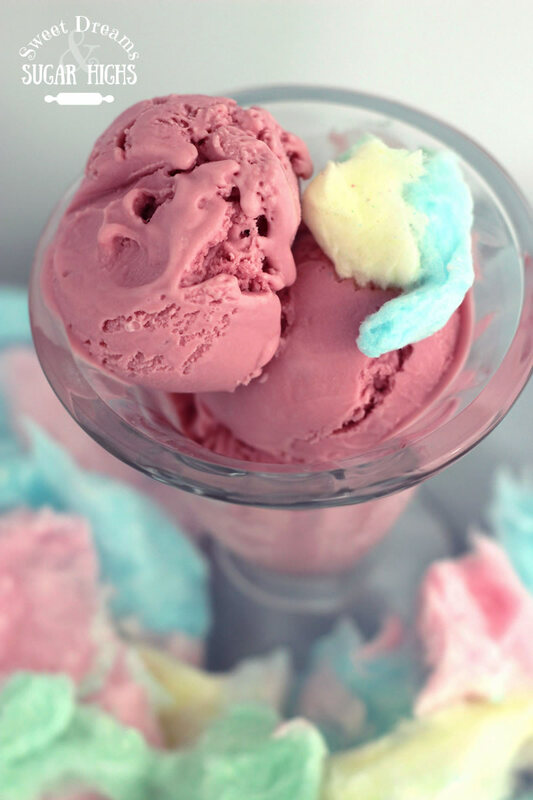 If I go into an ice cream shop I always look for cotton candy flavored ice cream first. Unfortunately it isn’t one of the standard flavors that all ice cream shops carry so it is kind of hit or miss on when I find it. 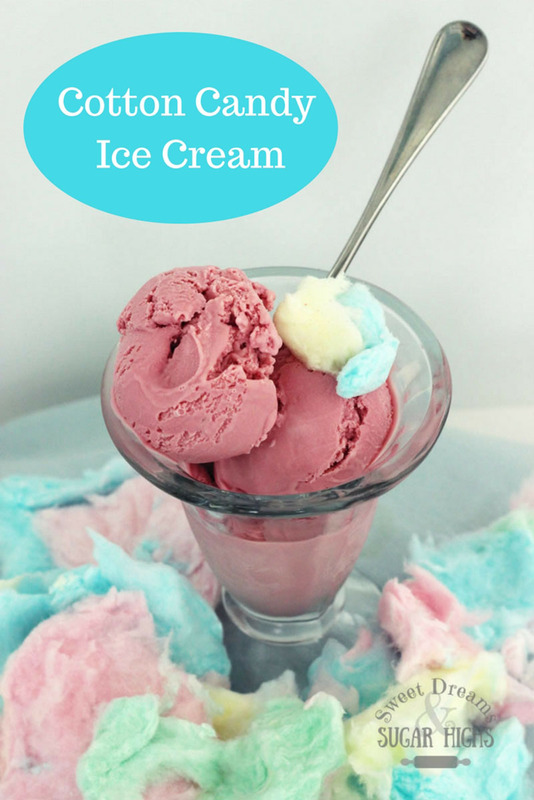 Recently I have started making my own homemade ice cream because it is so easy and just so much more rich and wonderful than store bought. After making the standard vanilla and chocolate ice creams, I decided to start trying new fun flavors so, of course, my first choice was to try a cotton candy flavor. Oh man, it did not disappoint!! 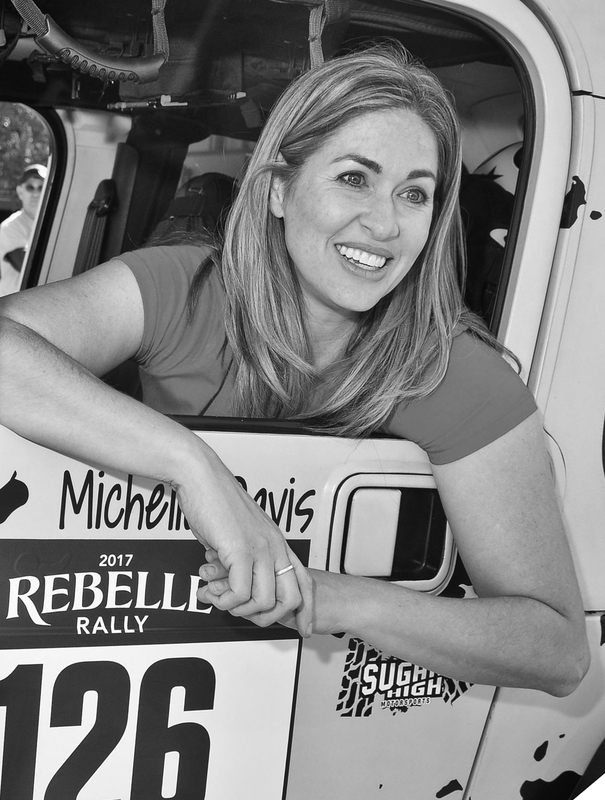 I no longer have to drive around town looking for a shop that carries my passion, I can make it for myself right at home. 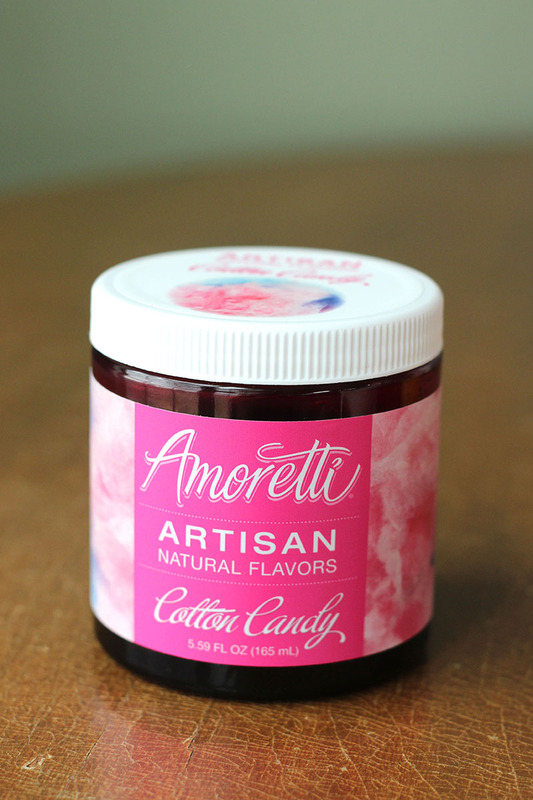 The secret ingredient behind the wonderful cotton candy flavor is this stuff; Amoretti Natural Cotton Candy Flavor. I had originally bought this a few months ago to make cotton candy flavored macarons (don’t even get me started on how amazing those were!) and the flavor was so good that I thought it would probably make a great ice cream. So I started with a basic vanilla ice cream recipe but I left out all the vanilla flavoring and replaced it with Amoretti Cotton Candy Flavoring instead. It was a great choice, if I do say so myself! The only thing I don’t like about the cotton candy flavoring is the color. 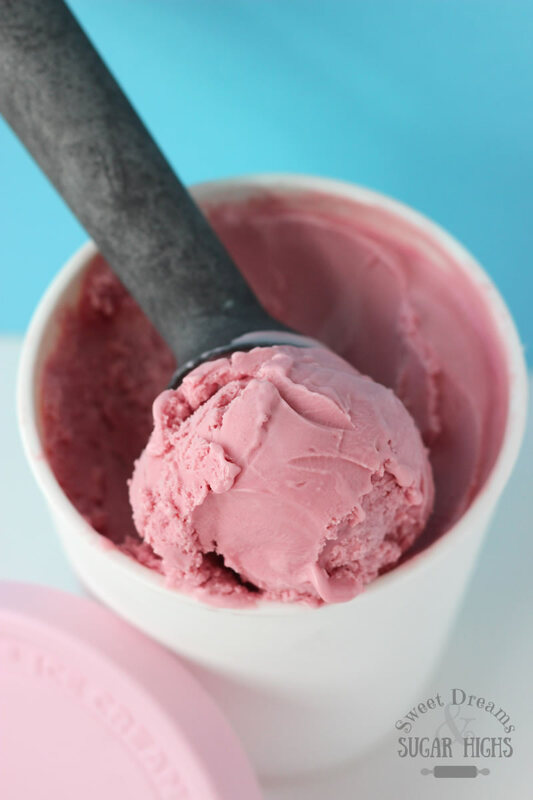 Personally I would have liked a light blue color or a lighter shade of pink but the color in the flavoring made the ice cream a dark pink color. It really doesn’t matter but that is just my personal preference because the color makes me think more of a raspberry flavor than a cotton candy flavor. Warning: before I go any further, just a reminder that you will need an ice cream maker to churn the ice cream. Also, this ice cream requires a couple of long cooling phases so don’t expect it to be ready right away. You will have to endure the torture of waiting. 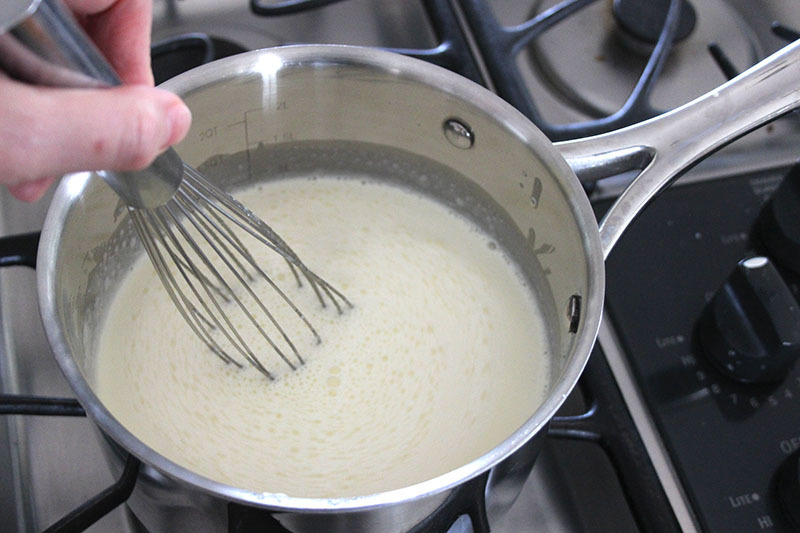 You start by heating the cream and milk in a saucepan over low heat. Remove it from the heat once it starts to simmer. Don’t let it come to a boil. Now set it aside for 20 minutes allowing it to cool some. 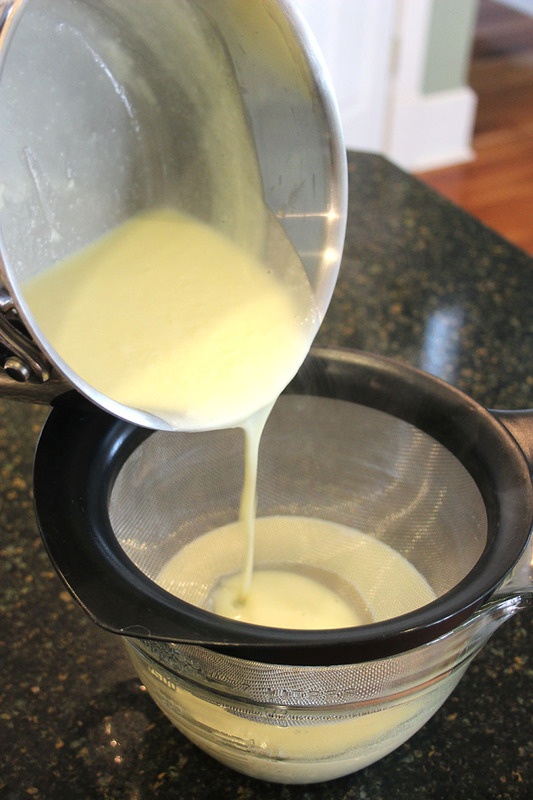 In a large bowl, whisk the egg yolks with the sugar until pale and creamy. 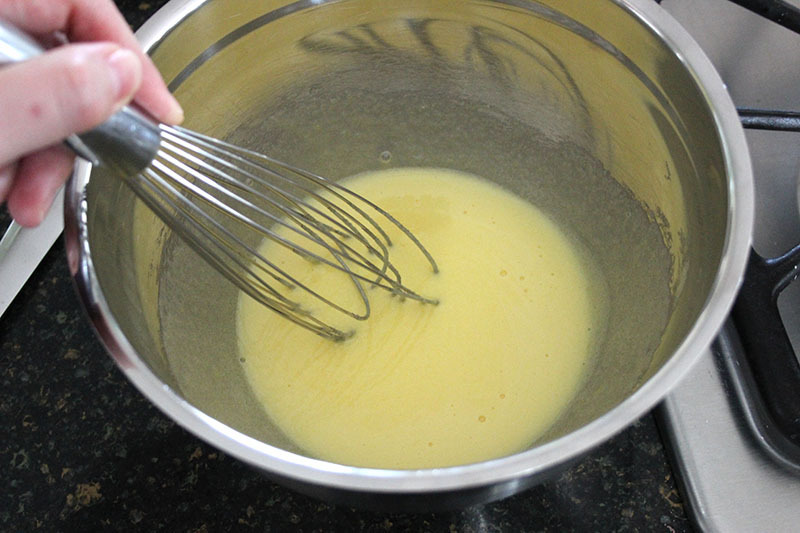 Slowly ladel a spoonful of the hot cream mixture over the eggs, whisking constantly so that you don’t scramble the eggs. 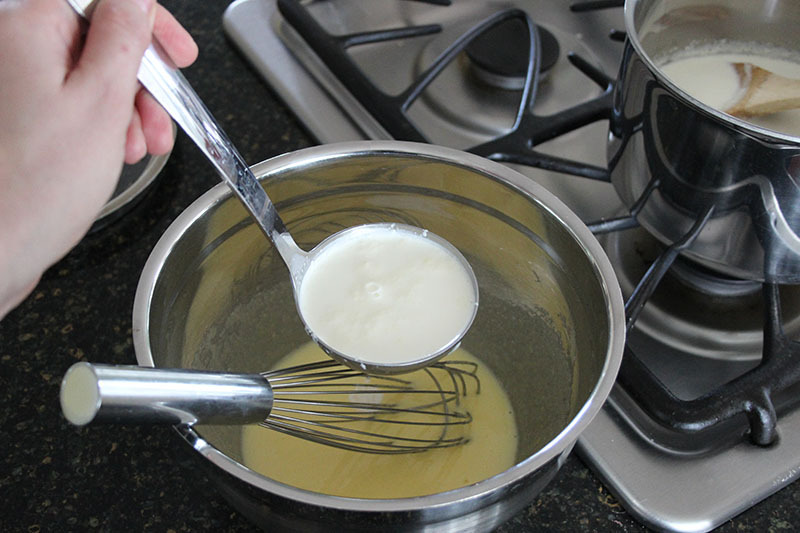 Pour the egg mixture back into the cream mixture, whisking constantly. 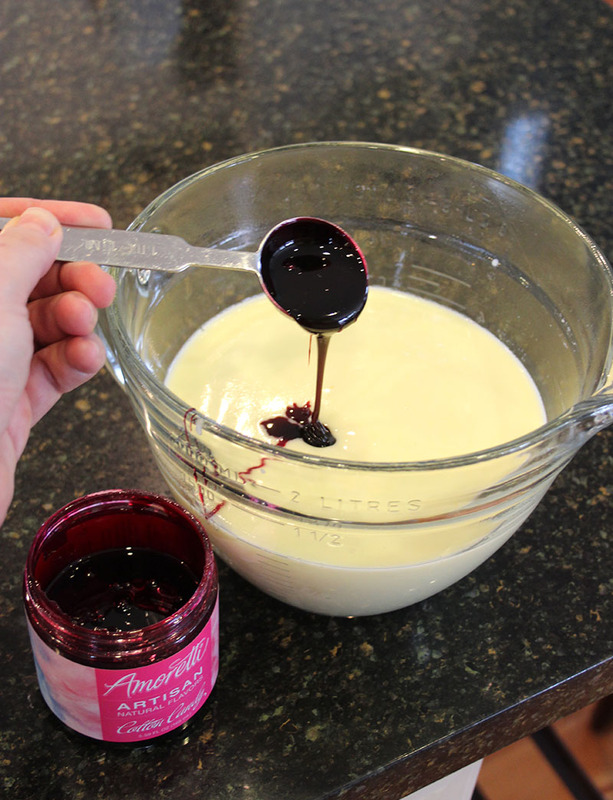 Return the mixture to low heat and cook, stirring constantly, with a wooden spoon for 8 minutes, or until the mixture coats the back of the spoon. At this point, remove from the heat and pour the mixture through a fine mesh sieve into a large bowl. This will remove any little bits of egg that may have started to scramble. Now stir the cotton candy flavoring until well combined. 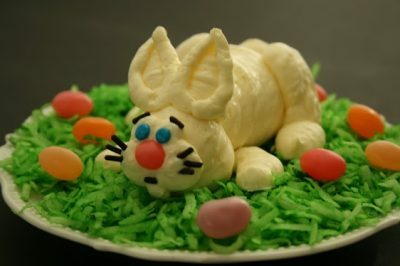 Set the mixture aside and allow it to come to room temperature, stirring it occasionally to help it cool and prevent the eggs from cooking any further. 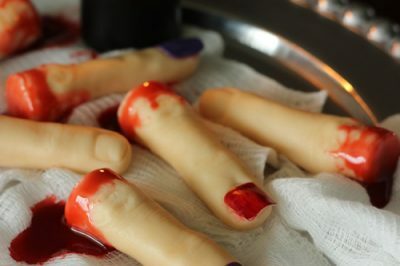 Once cool, lay plastic wrap on the surface of the mixture (this prevents a skin from forming) and refrigerate over night. Now it’s time to pull out this baby! 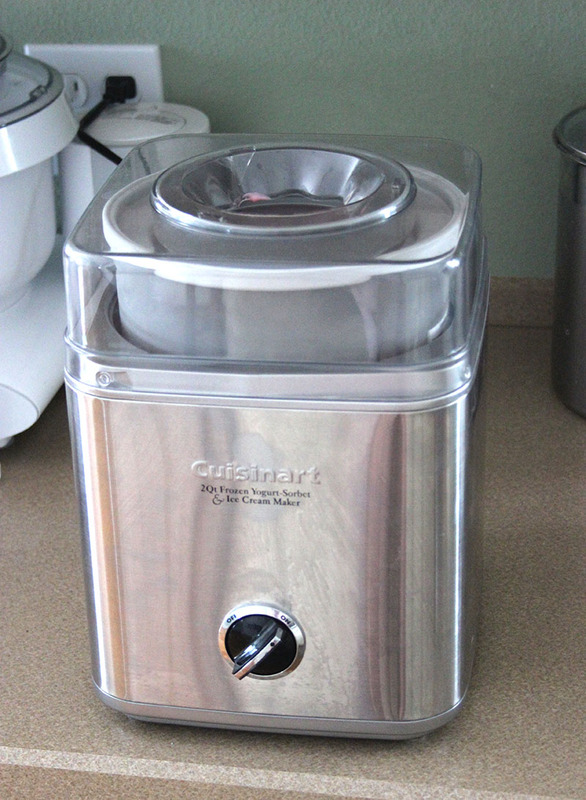 This is my Cuisinart Ice Cream Maker. I love this little appliance. 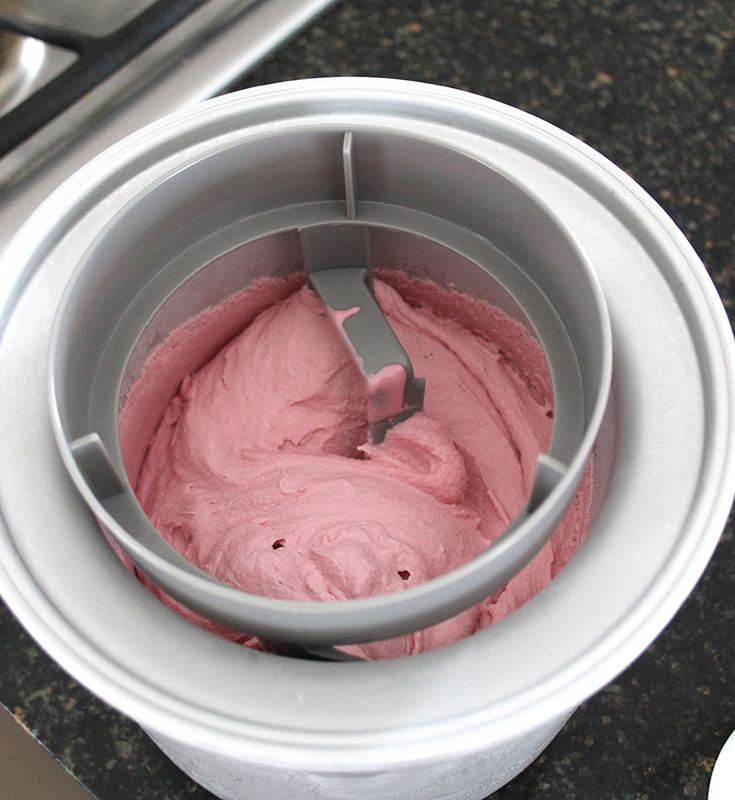 It has a bowl that I keep in my freezer and when it is time to churn the ice cream, I just pull it out, place it in the machine, pour the chilled ice cream base in and turn it on. I really tried to get a photo of the liquid ice cream base but I could not get my camera to focus on it. You can see it in the blurry background though. I still have a lot to learn when it comes to photography! You need to follow the instructions for your particular ice cream maker but mine usually takes about 20-25 minutes to churn the ice cream. Here it is when it is getting thick, but not quite there yet. Once it is as thick as you see below, it is time to remove it from the machine, place it in a container and allow it to freeze for a minimum of 6 hours. You can put it in any freezer safe container but I like to put mine in this quart sized Tovolo ice cream tub. Isn’t the pink lid on it so cute? After that last torturous 6 hours of waiting, you only need to wait 10 minutes more. Remove it from the freezer and let it set for about 10 minutes to make it easier to scoop. Enjoy it before it melts! 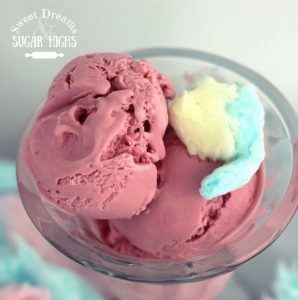 For some extra tasty fun, add a little cotton candy along with it, in your dish. 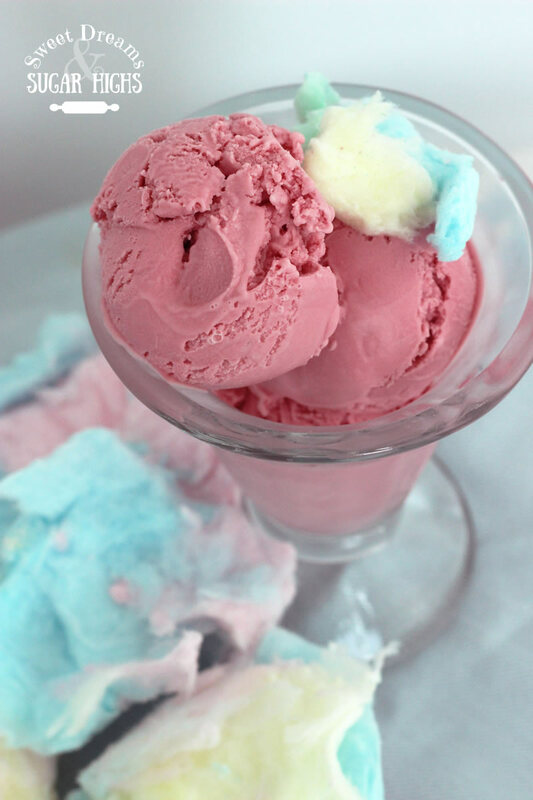 Cotton Candy Ice Cream made with Amoretti Natural Cotton Candy Artisan Flavor. 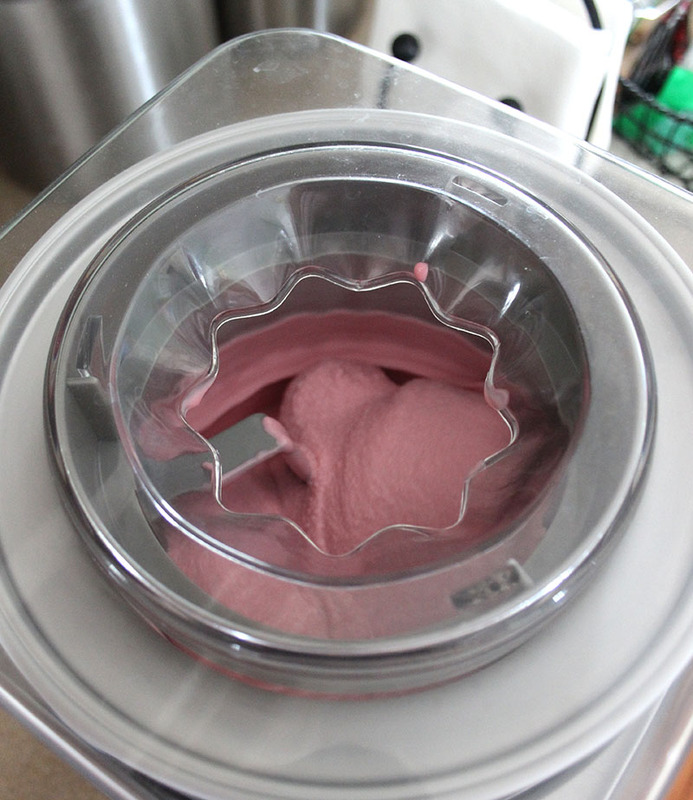 Make the base the day before churning in the ice cream machine so that it has plenty of time to cool properly. 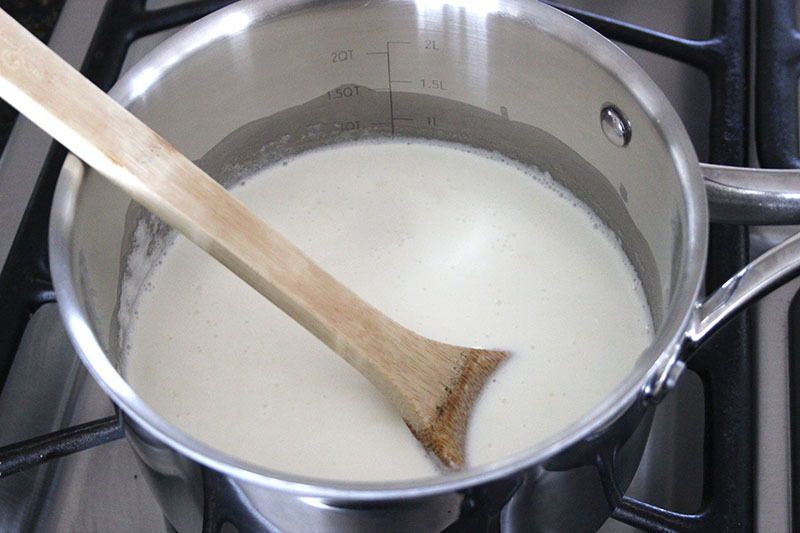 Heat the cream and milk in a saucepan over low heat, making sure it doesn't boil. Just as it comes to a simmer, remove from heat and set aside for 20 minutes. 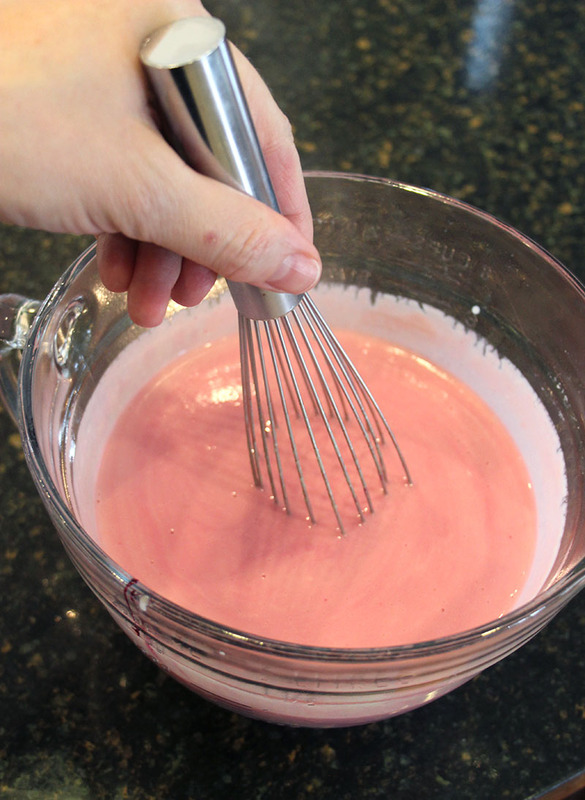 Slowly ladle a spoonful of the hot cream mixture over the eggs, whisking constantly. This tempers the eggs so that they don't scramble. 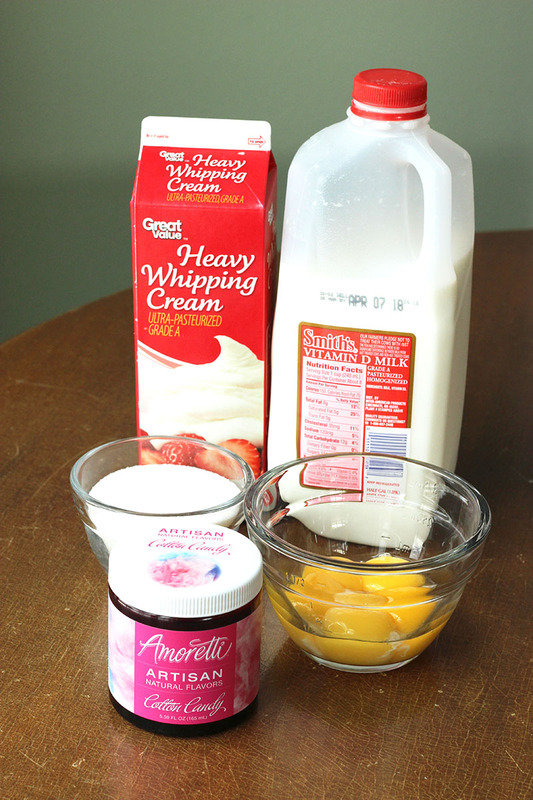 Pour the egg mixture into the cream mixture, whisking constantly until well combined. 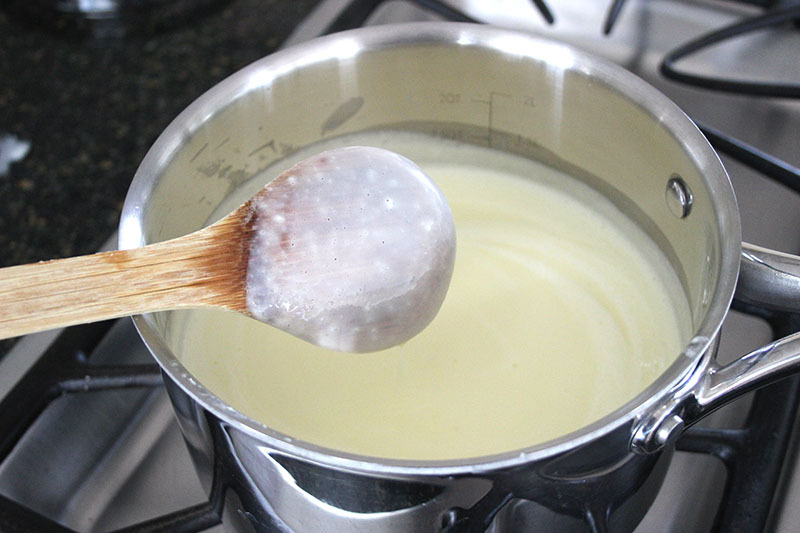 Return the mixture to low heat and cook, stirring constantly, with a wooden spoon for 8 minutes or until the mixture coats the back of the spoon. Once the mixture has thickened, remove from heat and pour it through a fine mesh sieve into a large bowl. Stir in the cotton candy flavoring until well combined. 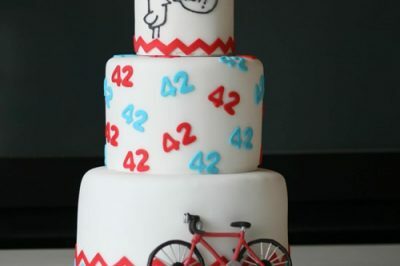 Set the mixture aside to come to room temperature. Occasionally stir the mixture as it cools to help it cool quicker and to prevent the eggs from continuing to cook. 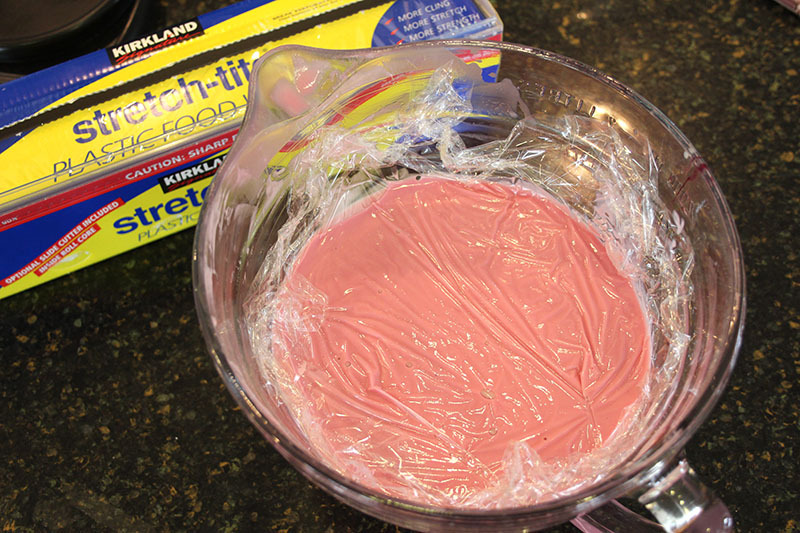 Once cool, lay plastic wrap on the surface of the mixture and refrigerate over night. Once fully chilled, pour the mixture into an ice cream machine and churn according to manufacturers instructions. 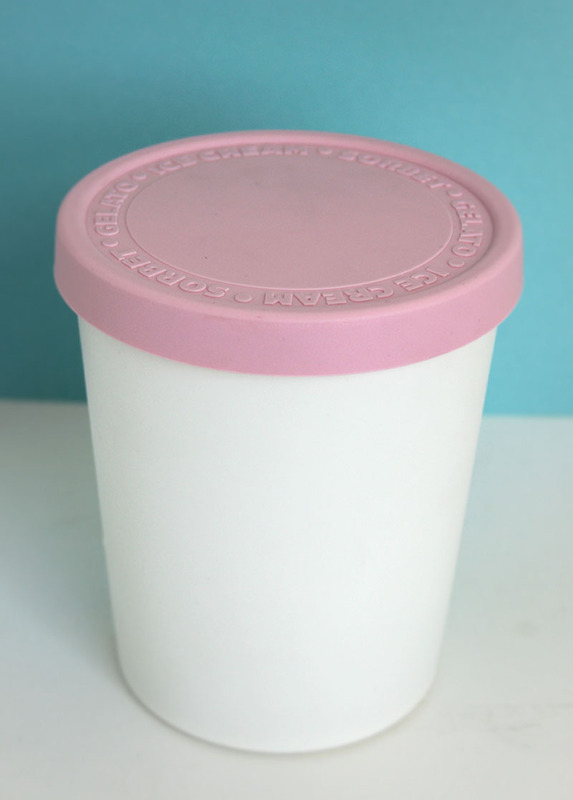 Transfer the ice cream to an air tight container and freeze for a minimum of 6 hours. 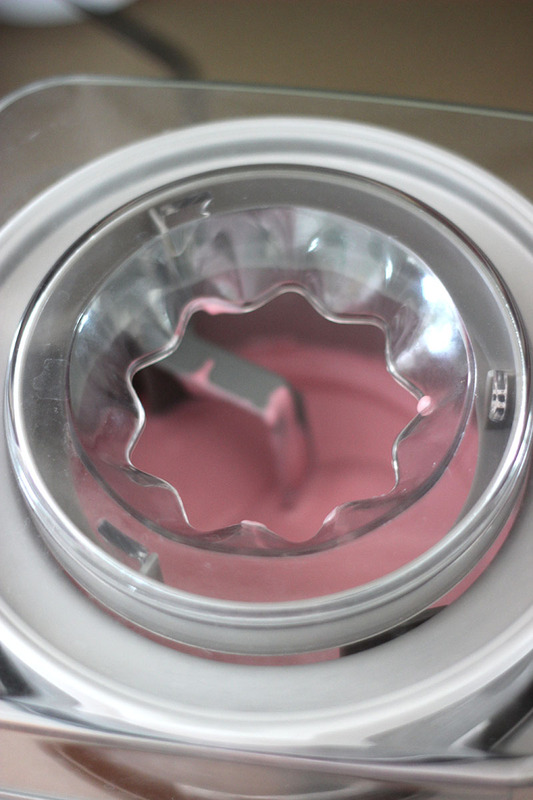 To make scooping easier, allow ice cream to set out for about 10 minutes before scooping. The ice cream will keep in the freezer for up to 8 weeks.